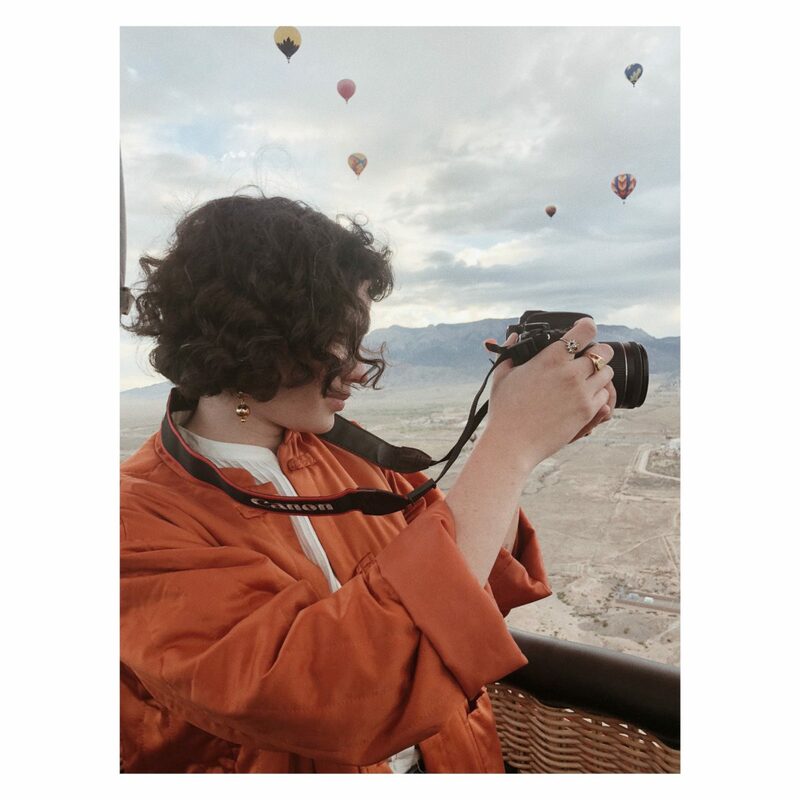 Madelynn De La Rosa is a photographer and videographer who road tripped from LA to Albuquerque over 5 days, culminating in the stunningly famous Albuquerque International Balloon Fiesta—all captured on her Canon EOS Rebel T7i. 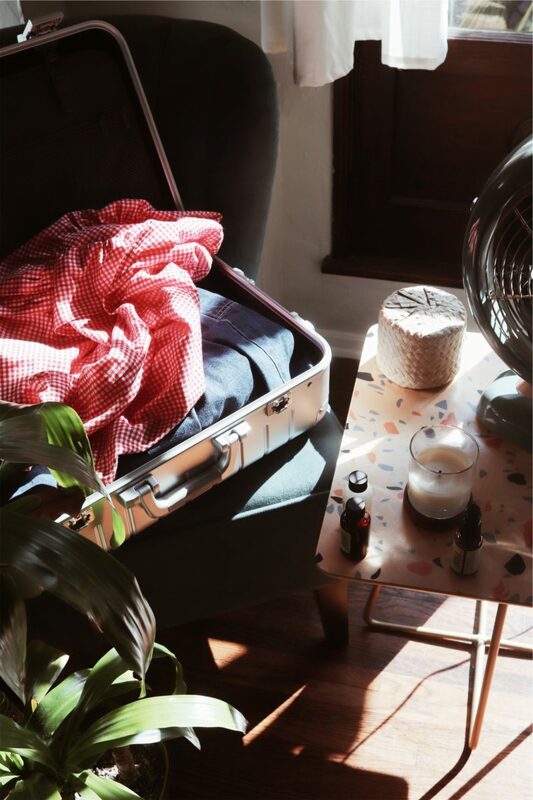 She shared her itinerary and tips for how to road travel as a creative below. I’m an army brat who moved around every two or three years growing up, but I’ve only driven cross country twice. Those prior trips were for moving purposes, so this road trip made up for all the times I wasn’t able to stop and enjoy myself along the way. For work, I shoot and edit videos about cruelty-free and vegan beauty and sustainable fashion, as well as create short films and music videos. I’ve been making videos on the internet for many, many years, but it became a full-time thing three years ago. Getting out of my routine always seems to help when I’m in a creative funk. Getting out of my routine always seems to help when I’m in a creative funk or just not feeling like myself. As I get older, I realize how much I rely on being in nature to help ground me. Seeing new places, meeting new people always inspires me. Getting packed up at my apartment in East Hollywood. Captured with a Canon EOS Rebel T7i. We started our road trip from Los Angeles, California and headed to Palm Springs, because we wanted to drive through the desert. It was a nice pit stop in California before continuing on to Arizona. We spent a little less than 24 hours in each city along our route, so we’d do a Google search right when we got to our hotel each night for some quick research. We didn’t have a plan—everything was spontaneous—so we just filled our day with whatever was possible before heading to the next city. I thought being in a different city each day would be stressful, but I actually really liked that it gave us just a little taste of the city and that we got to experience so much in such in a short time. 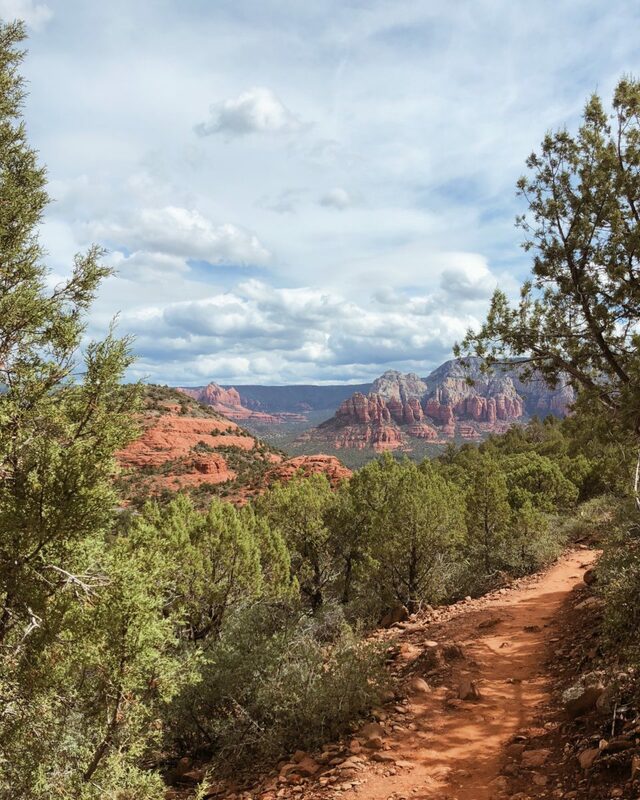 Give yourself plenty of time to go off the beaten path. I tend to pack really light, I always fit everything in a carry-on no matter where I’m going or for how long. One of my favorite things I brought with me was this gingham lounge dress I got from my friend’s vintage shop called Shop Girl LA that’s light and loose-fitting, but was able to wear over long sleeves when it got colder at night. When you’re on the road, a good playlist never hurts. I made a playlist on Spotify with a lot of Jim Sullivan, Kurt Vile, and 90’s music. Everything is so accessible these days, and it’s easy to drive from one National Park to the next. Just make sure you give yourself plenty of time to go off the beaten path and explore without a plan. This was taken at the Arcosanti outside Phoenix, AZ. The Arcosanti is a really beautiful, big building where artists live and work. It’s out in the middle of nowhere in this big giant field. Artists practice all kinds of work, from woodworking to ceramics. Captured with a Canon EOS Rebel T7i. 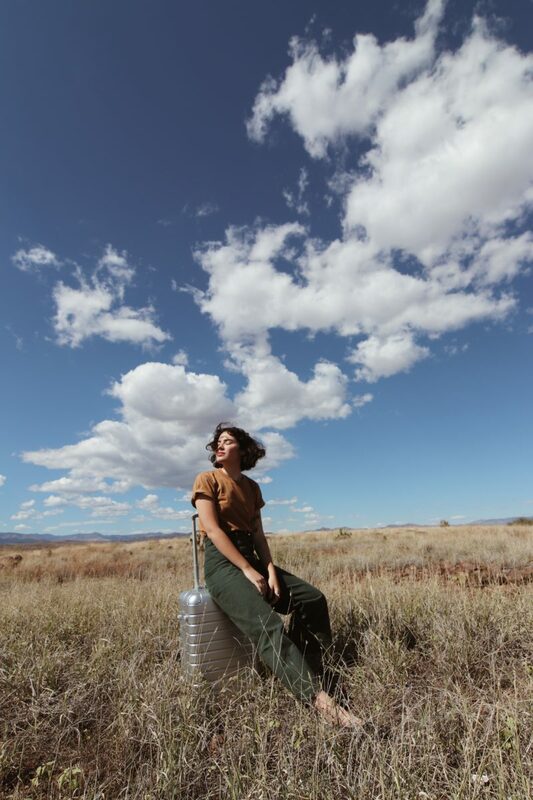 Taken right outside the Arcosanti. Captured with a Canon EOS Rebel T7i. Stay: We stayed at the Amado—the cutest mid-century modern hotel. The first thing we did, of course, was jump in the pool and relax for a little bit. Eat: Pappy & Harriet’s in Pioneertown for dinner (which was about 30 minutes north of us). Live music, beer, and vegan burgers! Do: Before heading off to Arizona the next day, we stopped at King’s Highway roadside diner at the Ace Hotel, which is another beautiful spot for photos! There’s a photobooth in the back, too. 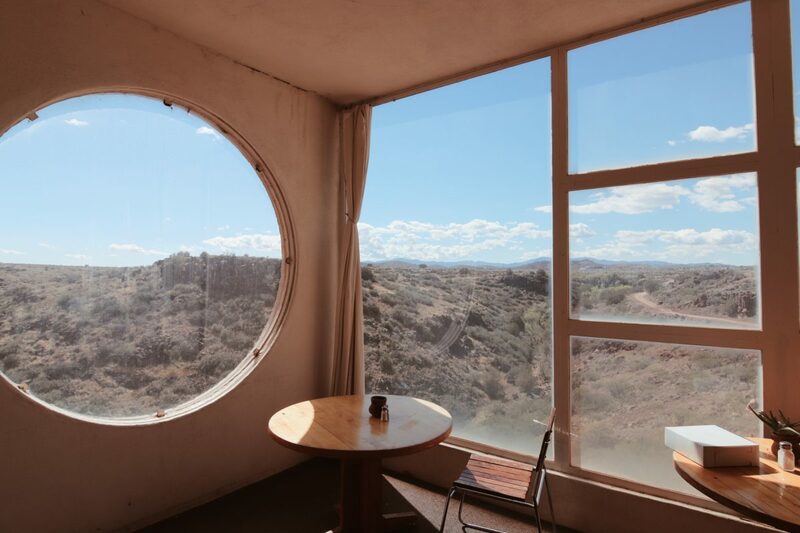 Stay: On our way to Phoenix we stopped by Arcosanti, where artists live and work. Once we made it to Phoenix we checked into a boutique hotel called FOUND:RE. It was filled with art, and had its own gallery full of local artists’ work. This put us right in the middle of the downtown arts district where art murals and small businesses are abundant. Eat: We ate at Taco Chelo, a late-night Mexican spot where we ordered delicious vegetable tacos and mezcal palomas. Do: We didn’t have any solid plans, so we went to The Van Buren to see who was playing. We ended up seeing All Time Low—didn’t know any of the songs or what we were getting into, but we had the best time. There were streamers, inflatable balls, and confetti everywhere! After the show we went to Valley Bar for a nightcap and played skeeball to our heart’s content because lucky for us on Mondays games are free all night. This is the Airport Vortex in Sedona, AZ. I took this early in the morning as we were about to leave for New Mexico. Captured with a Canon EOS Rebel T7i. Just gorgeous from every angle. Captured with a Canon EOS Rebel T7i. Stay: We stayed at El Portal, which felt a little like we were staying at The Great Northern Hotel from Twin Peaks. This may have been my favorite place we stayed at all trip. Eat: We had dinner at El Rincon Restaurante Mexicano where there was dancing and live music just outside. Do: Lucky for us we were surrounded by lots of things to do and see, including the Tlaquepaque Arts & Crafts Village. We inquired about going on an alien tour that night, but we’ll have to save it for next time! 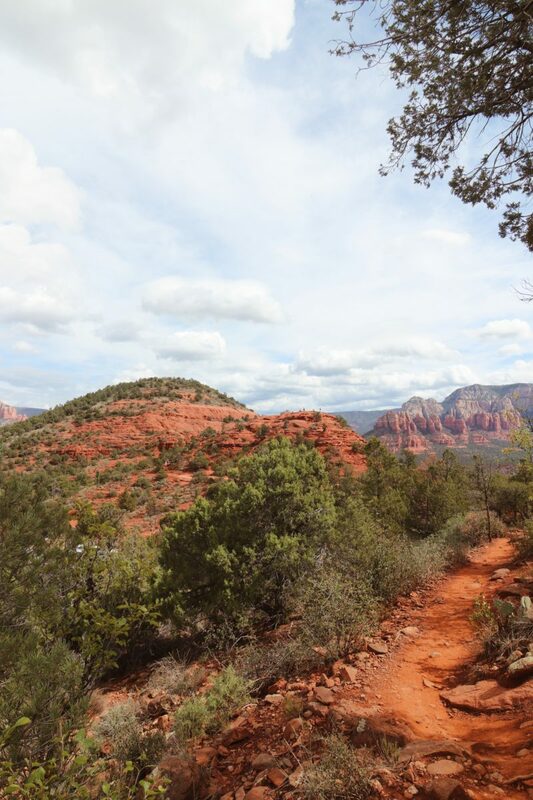 Before we left for New Mexico the next day, we took a little hike to the Bell Rock Vortex. Stay: We stayed at Los Poblanos Historic Inn and Organic Farm, which was absolutely gorgeous! Eat: We got in pretty late since we wanted to stay in Sedona as long as possible, so we ended up having dinner at Los Poblanos Historic Inn’s restaurant where I had one of the most enjoyable vegan meals I’ve ever had. They’re known for the lavender they grow throughout the farm, so it shows up in the menu quite a bit too (yum). We had hush puppies, seasonal charred vegetables, gnocchi, chamomile and lavender-infused vodka and gin drinks, and vegan dessert of course. Even if you don’t get a chance to stay at the hotel, dining at restaurant is definitely worth it! The atmosphere was lovely and the food itself was to die for. 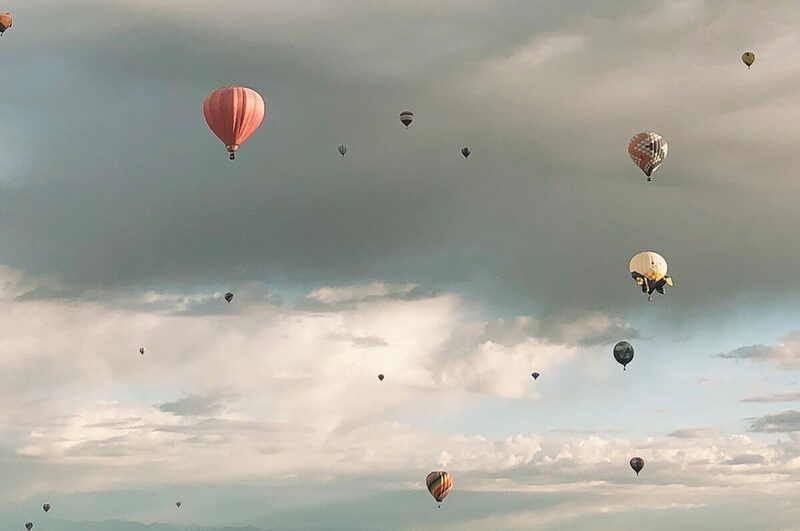 Do: We got to experience our first hot air balloon ride at the The Albuquerque International Balloon Fiesta thanks to Canon! Such an incredible experience that I never thought I’d have. Before we checked out of our hotel we made sure to explore a little more, which included meandering with the alpacas, and stopping by their farm shop to smell all of their lavender soaps! 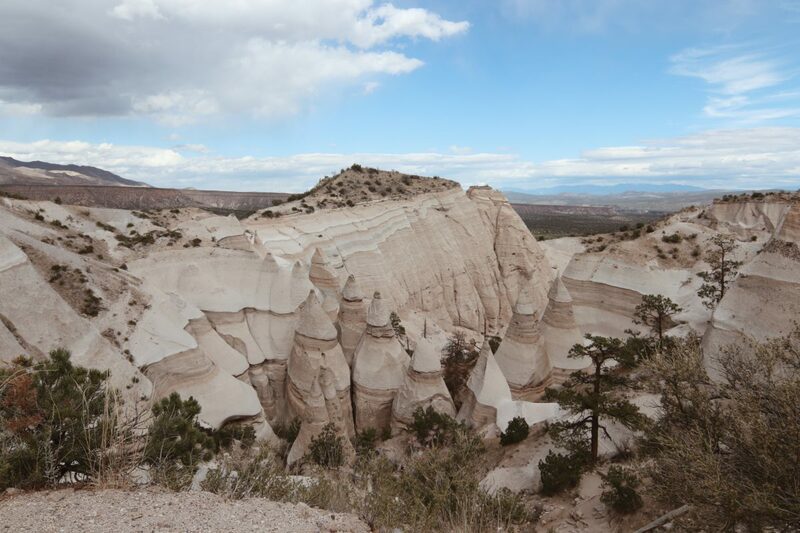 In the afternoon we drove up to the Kasha-Katuwe Tent Rocks National Monument. Taking off was scary, but when you’re up there it’s actually super peaceful. 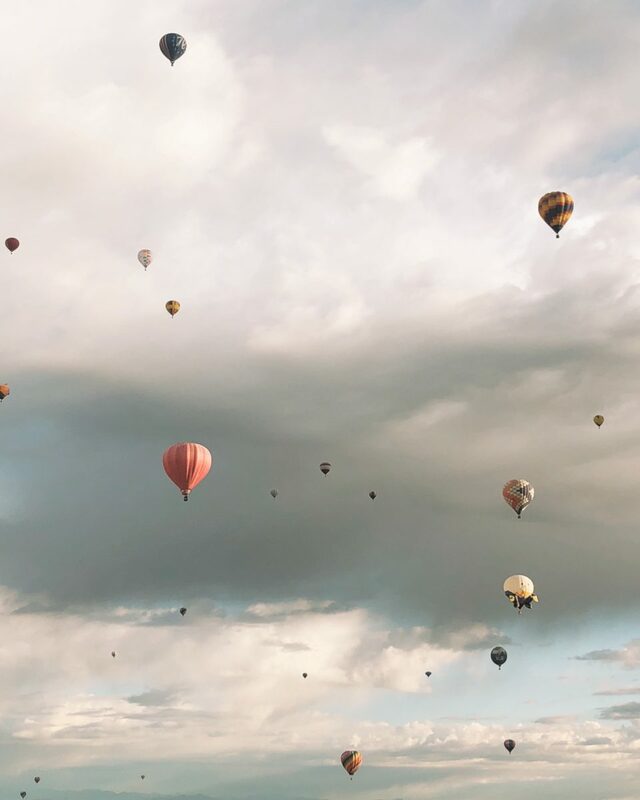 I just love this shot I got from the hot air balloon. It was a little hazy due to the weather and it being really early in the morning. I just love the colors and simplicity of it. It was so serene up there and I think the photo captures it perfectly. Captured with a Canon EOS Rebel T7i. Kasha-Katuwe Tent Rocks National Monument is in New Mexico an hour north of Albuquerque. Captured with a Canon EOS Rebel T7i.